Morgan Law Offices - Patent Attorney — Providing high quality intellectual property services. We are a proud member of the Nextlaw Global Referral Network, a legal referral network with 283 member firms providing services to clients in 160 countries launched by Dentons, the word’s largest law firm. 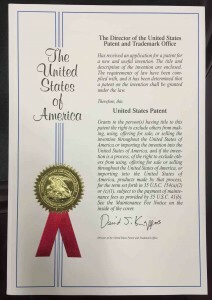 Our focus is on providing high quality patent drafting and prosecution services at an affordable price to clients nationally and worldwide. Our clients include a major semiconductor company, software development companies, numerous start-ups and individual inventors. All legal work is performed by a registered patent attorney. We are conveniently located in Tempe, Arizona (AZ) which is part of the metro Phoenix area, but our reach is to all 50 states and beyond. Applications, database, operating systems, imaging, data mining, artificial intelligence, and much more. Motorized devices, electrical circuits, robotics, semiconductor packaging. Games, gadgets, automotive, tools, household devices, novelty items, etc. E-commerce, financial (banking, credit cards, insurance), healthcare, etc.